For Ha Giang, you need to be an experienced motorbike driver as the roads are so craggy and dangerous here. The gift for the ones who deserve is amber terraced field Hoang Su Phi - Vietnam national heritage. 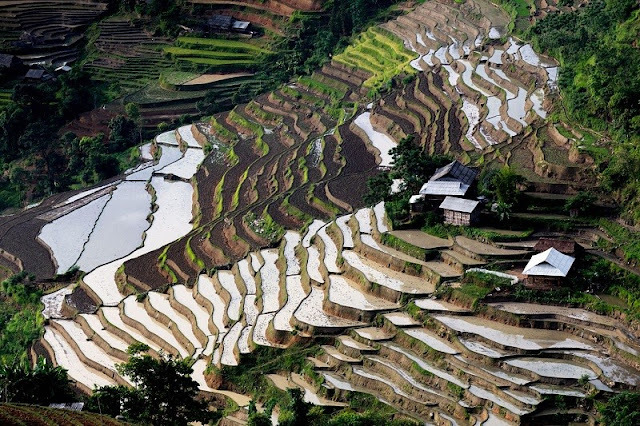 Visiting here, tourists will be attracted by the beauty of terraced fields. Many artists recognized them the most beautiful sites of the country. The unspoiled scenery of rock and flowers is a popular destination amongst tourists all over the world. 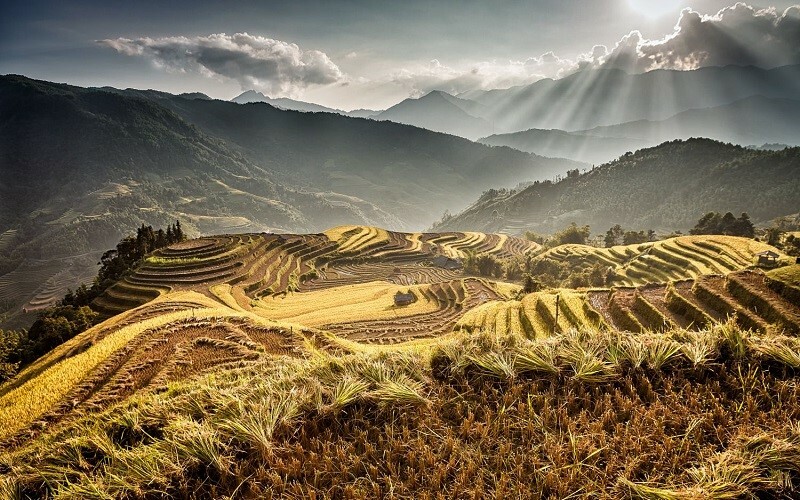 Located in the Northernmost point of Vietnam, the terraced fields of Ha Giang Province is almost heaven for nature lovers and eco-tourists. With its many striking limestone formations and numerous springs against a beautiful backdrop of peaks and rocky summits, the landscape is breathtaking. It’s also a good trekking spot for trek-lovers as its less populated. Ha Giang’s primary forests are also filled with eco-rich wildlife, a thousand species of flora and beautiful cascading waterfalls. With its awe-inspiring scenery, the Ha Giang terraced fields are a must-come destination in Vietnam.